If you pride yourself to be a travel or outdoor junkie, having the best gear should be in your best interest. If you are currently in the market for an outdoor backpack, you can consider taking a look at the North Face Terra 50. Outdoor activities like hiking, camping, and backpacking require a reliable backpack to safeguard your stuff. A good backpack can make a huge difference, so much that it can make or break your trip. The North Face is a name synonymous with quality outdoor clothing and gear. With that said, is the North Face Terra 50 a worthy addition to your outdoor equipment collection? We’re here to help you answer that question with our review below. Today, we’re reviewing the Terra 50 backpack, which was actually redesigned by The North Face to a slimmer and less bulky profile. It’s a 50L backpack and can support up to 45 pounds of weight. 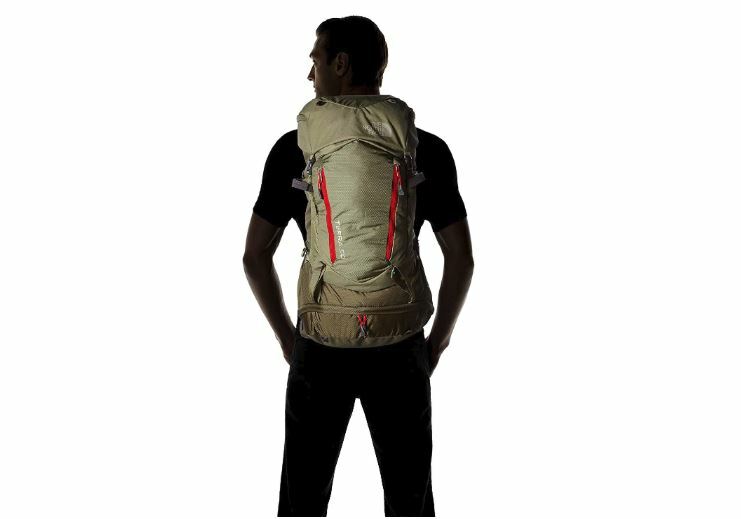 It’s specifically designed for multi-day backpacking and features a top-loading style. Is the North Face Terra 50 lightweight? Just because you need a multi-day backpack, it doesn’t mean that you should settle with a bulky and heavy backpack. It’s a good thing that the Terra 50 is a slimmer and more lightweight backpack when compared to the earlier Terra models. The slimmed down profile really helps in reducing the overall pack weight and allowing you to pack the load better. Just make sure that you know how to pack a bag for backpacking. You can also attribute the lighter profile to materials and overall design. Comfort is one of the first factors that I think about when buying. This is especially true when getting a backpack that I’ll be wearing for a multi-day excursion. And the Terra 50 delivers in this department, thanks to several of its comfort features. The first thing that comes to mind is the Innovative OPTIFIT suspension system. I believe that a good fit is key for unrivaled comfort. With the OPTIFIT system, it’s easy to adjust the pack for a precise torso length fit. This helps in loosening up the load on my shoulders while maintaining the balance around the hip. They’ve also lined the hipbelt with air mesh for added comfort. 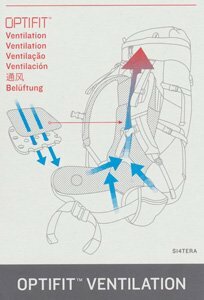 The anatomical shoulder harness has sufficient padding, which makes carrying the pack a lot more comfortable, even with heavier loads. As far as hiking backpack sizes go, it’s just the right size for me. My first impression of the materials of the Terra 50 backpack is that they are quite durable. The overall construction just seems to be of high quality. The fabrics of the Terra 50 are made from 600D polyester, 1200D polyester, and 420D mini-ripstop nylon. At first, I was not too sure if the polyester materials would hold up. However, after a couple of trips, I’m happy to report that the bag can take a beating without any signs of wear and tear. The polyester material can be a concern, but The North Face did a good job with the backpack’s toughness while keeping it lightweight. At the top of my mind, I really enjoyed the inclusion of a sleeping bag compartment. I generally carry a sack to pack my sleeping bag. But with the Terra 50, I can just pack the bag inside the zippered compartment. It’s not really a must-have feature, but the compartment is definitely nice to have. Not only are there over seven pockets, which is more than enough to meet my storage needs, they are also smartly placed. Two of them are hip belt pockets, which are very easy to access. If you bring a lot of tools and accessories, you’ll also appreciate the extra lash points. Like most good hiking backpacks, the North Face Terra 50 has a hydration pocket that comes in handy if you plan on bringing a canteen or bladder. I’ll just come out and say that I really enjoy the Terra 50. However, it’s far from a perfect hiking backpack. One notable flaw that I’ve noticed is the narrow opening of the bag. If you are trying to access the things deep down the pack, you will end up removing everything from the top. Also, the front pockets can’t be extended, which means that they are just taking more space in the main compartment than they have to. This 50L hiking backpack may be tough, but it’s not waterproof. This is not necessarily a big deal, but it doesn’t come with a rain cover. I ended up purchasing a separate cover. Is The North Face Terra 50 Good Value for the Money? For approximately $160, you get a great backpack that offers good comfort and a considerable number of useful features. 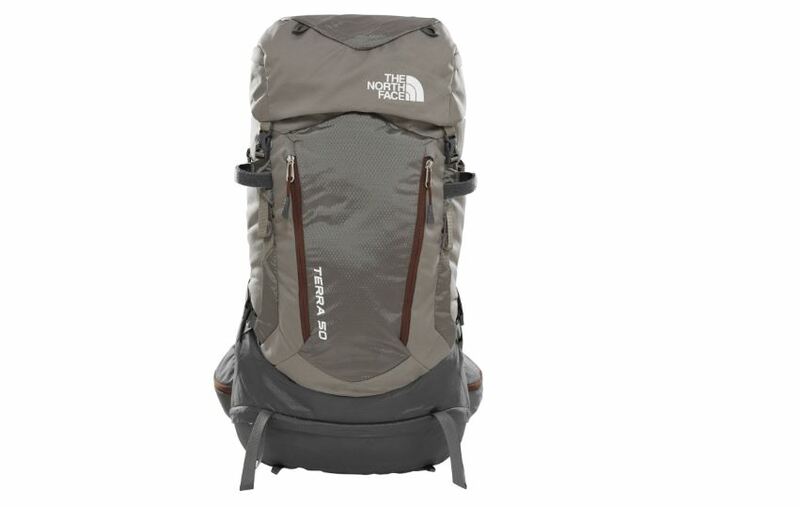 There are certainly more expensive backpacks that pale in comparison to the North Face Terra 50. But, if you’re looking for a reliable hiking backpack that won’t break the bank, check this one out.